The Ford Transit van is renowned as one of the most flexible and adaptable vans on the market. 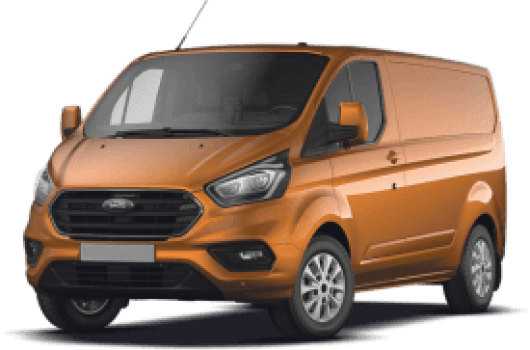 With these new Ford Transits, you are guaranteed a reliable van that you can customise to the exact size and engine performance that you require. Ford Transit vans are available now for an affordable price from UK Vans Direct. There are two cab-size options, with the single cab version ideal for maximising the load-carrying space and capacity, while the Double Cab-in-Van version can carry up to seven passengers as well as all their gear. Many of the Transit vans also have additional size options including a choice of three load lengths and two roof heights. Ford Transit vans use the technologically advanced EcoBlue 2.0L TDCi diesel engine which meets the strict EU standard emissions criteria. The Euro6 directive specifies a 55% reduction in nitrogen oxide emissions versus the Euro5 emissions standard which the Ford EcoBlue 2.0 TDCi diesel engine complies with. As well as producing lower emissions, the EcoBlue 2.0 litre TDCi engine provides increased power and torque as well as improved fuel economy. Incorporated technologies include Smart Regenerative Charging, Acceleration Control and Auto-Start-Stop, which all help to minimise fuel expenditure and lower the overall cost of owning a Ford Transit van. Ford Transit vans are available now from UK Vans Direct with prices starting from £15,895.00 plus VAT and Road Fund Licence. There are also hire purchases deals available starting from £265.98 per month. Delivery of every purchased van is always free. For more information about the Ford Transit van range, call our team of Ford van experts on 01709 717200.